Now that Summer is over, although the weather is arguing the change, Fall is in effect and for some that means pumpkin everything, orange and olive green clothes are must haves and the preparations for Halloween are in full bloom. Although those are on my list of important things but its these Fall runs that are making me excited more than anything. All of this tours that fall onto our radar have some of the most diverse, talented and exciting lineups that I’ve seen all year. I expect more than a few of these to show up on our list of best tours of 2017 in December. Take your emotions on a “jet” ride with Citizen, Sorority Noise and Great Grandpa beginning in a few weeks. Starting in Cleveland and ending out in Minneapolis, Citizen will be serenading show attendees with some new tunes from their forthcoming album “Jet” schedule for release on October 6th via Run For Cover Records. Fans have taken warmly to the new music and thus far the new tunes are gaining more attention than their 2015 album “Everybody Is Going To Heaven” but to me, I’m keeping my decision undecided for the time being because “Youth” is one of my favorite albums for this specific genre. Sorority Noise, Great Grandpa and Citizen go hand in hand with each other but still offering a piece of variety with approach and instrumentals. Already a week in, this four band line up has some eye grabbing names to it. 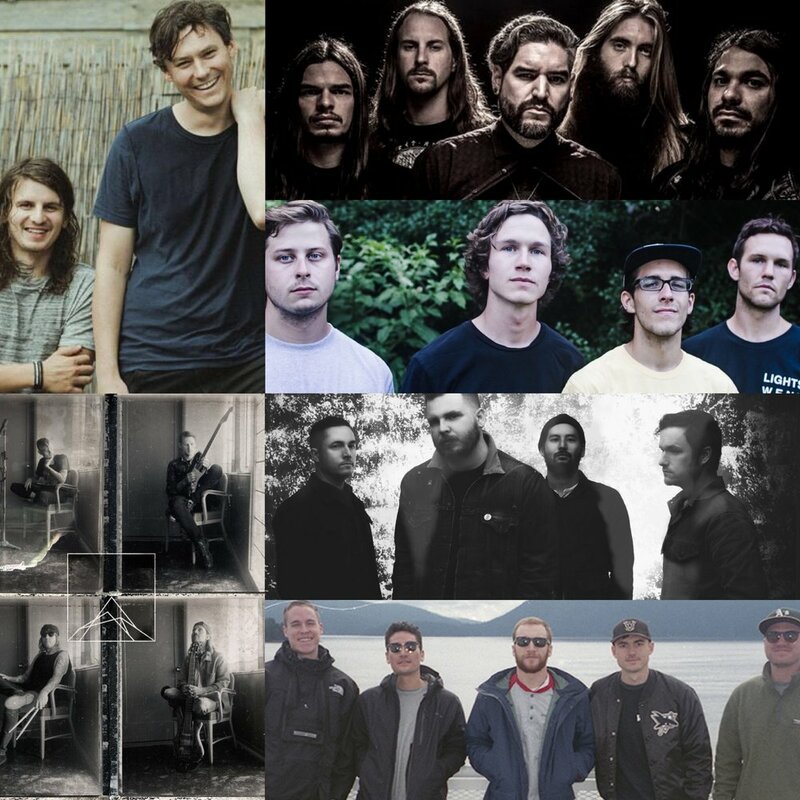 Two out of four of these bands have new music to offer on this tour, one band has tunes that are still fresh and the headliner has a catalogue of music that stands strong. The Devil Wears Prada will be gifting fans in attendance a free gift in the form of a download card for their documentary “No Sun / No Moon.” You can pick yours up at any show at the band’s merch table. “No Sun / No Moon” takes a look inside the band’s writing process for their most recent album release last year, “Transit Blues.” Djent band Veil Of Maya have a new album, “False Idol,” coming October 20th via Sumerian Records and so far the feedback I’ve seen on the first single released hasn’t been ones of positivity so we will see how these new tracks translate live. The big standout for this tour to me is Thousand Below as they will be releasing their debut album this Friday (October 6th) via Rise Records and this tour is going to be a life changer for them. If you’re looking for a care free night with some mellow yet uplifting tunes, then look into Knuckle Puck’s headlining tour. The Illinois five piece begin this 5 week journey two days before the release of their second studio album “Shapeshifter.” Knuckle Puck have had a long year with back to back tours and preparing for the release of “Shapeshifter,” which is also the bands second release since signing to Rise Records in 2015. This tour is an attention grabber not just for the great music Knuckle Puck create but because of the supporting lineup. Movements have been on a fast train to success ever since signing with Fearless Records in late 2015 and show no signs of slowing down. You can pick up their debut album “Feel Something” on October 20th. With Confidence and Homesafe are quickly moving as well and compliment this tour with some mellow rock and cheerful punk. Tickets are selling out and running low so get them while you can. This one is for the shoe gazers and indie rockers. The Front Bottoms are releasing a new album on October 13th and are taking it out on the road with UK boys in Basement and the fun musicians in Bad Bad Hats. The Front Bottoms are known for their catchy songs and goofy on stage personalities which gives proof to why their shows sell out quicker than you’d expect. Grab your friends and the drink of your choice and enjoy the Fall feels being presented by these three resilient musicians. Selling out dates already this three band banger is on our list for the same reasons as everyone else. With a new album expected hopefully sooner than later, TSSF took time off touring earlier this year to record with Sam Pura in the Canadian mountains. Last month the band released just one track thats being sold as just a single and announced this headlining tour with Turnstile and Drug Church. 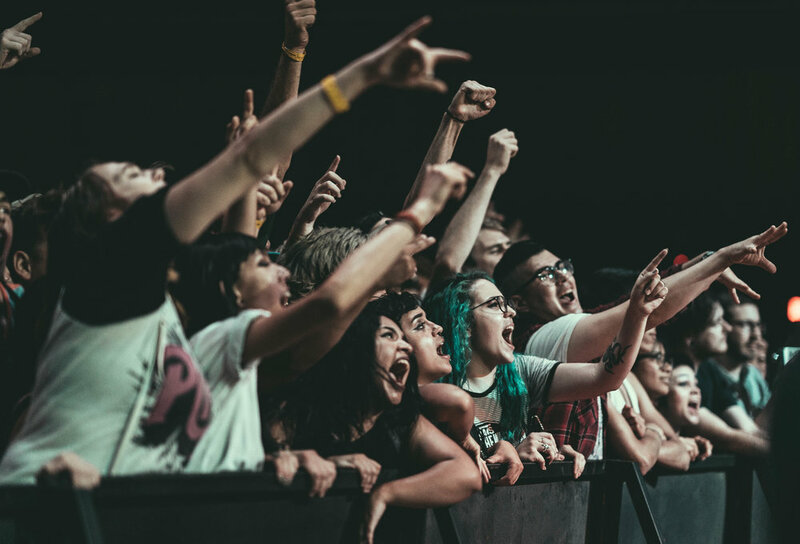 Turnstile and Drug Church teamed up with TSSF is sure to give you a night of heavy intertwined with pop punk. After a not so successful album release earlier this year, Suicide Silence are looking to redeem themselves by commemorating the ten year anniversary of “The Cleansing” with an almost six week long tour across the US. “The Cleansing” was the debut album for the American death core band in 2007 and became one of the best-selling albums in Century Media history. Accompanying them will be the metal band from Texas, Upon A Burning Body, Winds Of Plague (on select dates), Slaughter To Prevail and Prison. This tour will guarantee you a night of deathcore mayhem. I had gotten early word on this tour and keeping it quiet till they announced it was one of the hardest things to do. These four bands are extremely talented, complex writers and have some of the best discographies out there. Circa Survive just released one of their best albums to date last month, Thrice still play with the same unbelievable stamina as if they haven’t aged a day and Balance and Composure and CHON hold a respectful spot on this tour with the fellow musicians who equally have very intricate and technical components to their music. All four names on this tour can sell out rooms alone so to have them all together on one night is as opportunistic as an all day festival. This year has been full of nostalgia. Bands from my teen years have resurfaced and/or started touring more frequently. Once these two memorable bands announced their tour together I was so excited that there is a chance I may have let out a fangirl screech. I first saw both of these bands, not on the same tour, 15 years ago when I was a senior in high school. Bert screamed so loud that he puked on stage at The Glass House in Pomona. Although, Bert doesn’t do that forceful of screams anymore and guitarist Quinn is no longer with the band, The Used still remain one of my favorites. This run will be the bands marketing tour for their newly announced 7th studio album “The Canyon” available October 27th via Hopeless Records. I’m hoping Glassjaw offer something less discomforting on this tour than when I saw them at Taste of Chaos in 2015. This was around the time both their drummer (Durijah Lang) and bass player (Manuel Carrero) left the band, both later went on to join the band Burn, so instrumentals were off and vocalist Daryl Palumbo was off key and seemed to not really care. Glassjaw falls into one of those major bands that are hit or miss, so we will see. Be sure to stay connected with us at TandA Media for more news and coverage to come on these Fall tours!